This is a guest blog post by Jackie Child, Teacher Librarian from St Aidan’s Anglican Girls’ School. This post appeared first on tinkeringchild.com. 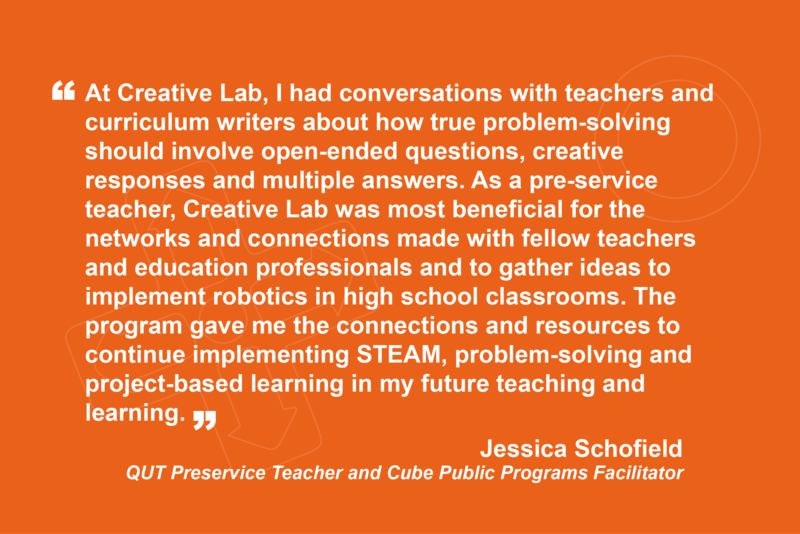 This was t he preamble of the workshop our students attended at QUT. Here’s a video. It is part of the education program provided for schools. It is free and if you are in Brisbane ….it’s a must!! View workshop details. 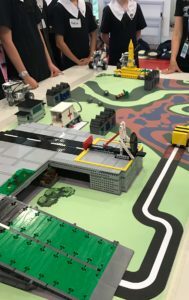 Our girls proposed and programmed robotic solutions to develop driverless cars using a range of sensors and LEGO robotics. It was the first time for many girls. Leighann and Toby clearly and effectively guided the girls through coding and building their robots to move and use sensors …….. having heaps of fun while learning. The girls had three challenges to complete with or without sensors. They soon worked out how to find the threshold value for the colour sensor and were able to program their robot to stay on dry land (pale green) to rescue the stranded vehicle. The communication tower at the top of Mt Coot-tha required fixing without falling off the mountain! The girls were so excited to see their robots toppling and dancing on the mountain! Throughout the day the girls enjoyed interacting with the Cube’s screen projects Dino Zoo, Chem World, Physics Observatory and The Arcade, I think the favourite was the Arcade which consisted of three retro inspired games including – Block Breakers, Parabola Pirates and Space Junk. All girls agreed it was a FABULOUS day of fun and learning!